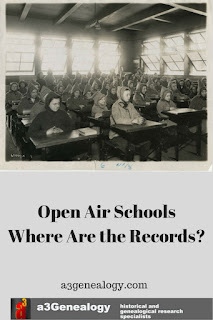 a3Genealogy: Open Air Schools - Where Are the Records? 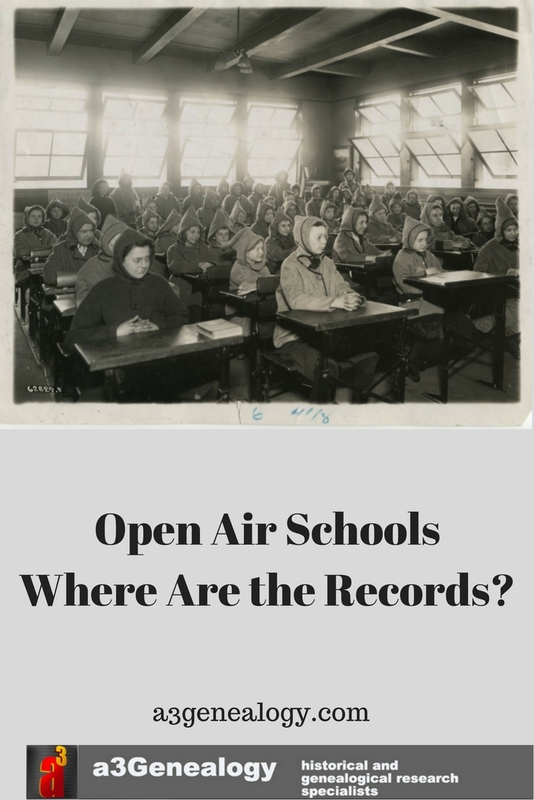 Open Air Schools - Where Are the Records? What to do about Tuberculosis? You air it out of course! Tuberculosis was a problem around the world. According to The Forgotten Plague, PBS American Experience, "by the begining of the 19th century, tuberculosis, or 'consumption,' had killed one in seven of all people that had ever lived." 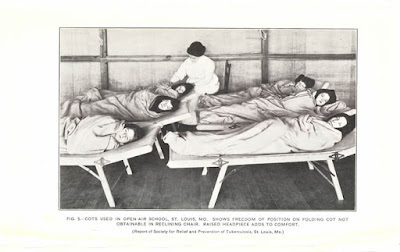 It difficult to find a family historian who has not identified at least one ancestor who was a victim or was housed in a sanatorium for tuberculosis - often to never return to the home. Few however, ask, "where were the children?" In USA we love to show the Netherlands and Soviet images during the period of 1915-1921 (approx) where open air schools, used to prevent the spread of disease, were common. But this was also a practice in America. 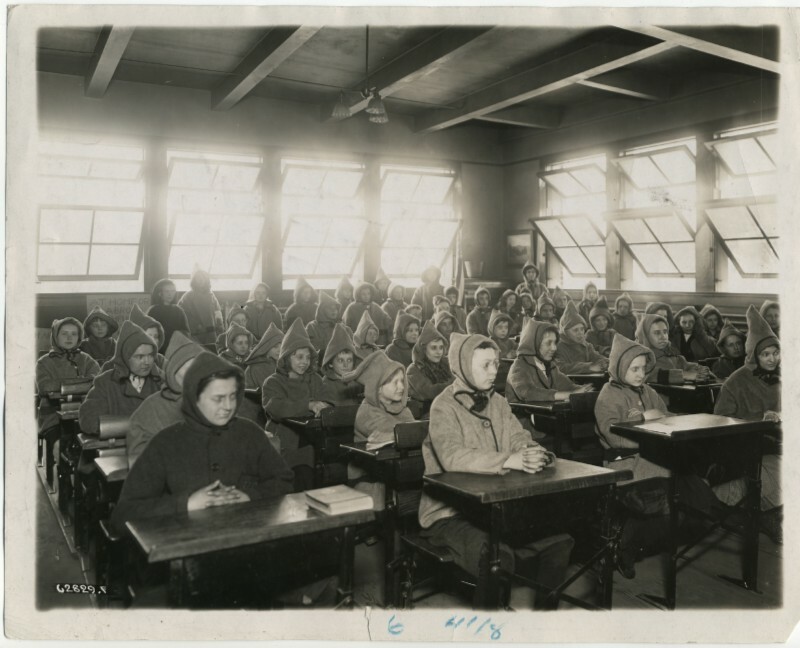 Providence, RI was the first "fresh-air school" or "open air school" in America, established 27 Jan 1908 (Richard A Meckel, PHD, JAMA Network: Pediatrics). These "fresh-air schools existed until about 1938 - 1941, (National Library of Medicine). At a3Genealogy, we have seen it from Connecticut on the east to Idaho on the west. Some records have been preserved. We suggest you begin with a thorough newspaper search of the region. State Archives have been helpful, but be sure to check county historical & genealogical societies and associations. Medical Journals and dissertations and local doctor's papers can also be found at local medical school libraries. The bibliography will provide great hints to original sources. This is where we usually find observation notes, and sometimes names. Be sure to visit the familysearch catalog also for a limited overseas collections - mostly England. I guess we have to believe our ancestors when they tell us those stories of having to study and sleep in -10F temps. These open air schools usually were often creative art intensive, and included one hour nap daily. Did your ancestors go to an open air school? Are You Telling A Family Story?